What Are Led Batten Lights? LED batten lights are lighting fixtures that offer uniform, spot free illumination across different rooms. They are highly valued for their energy efficiency. 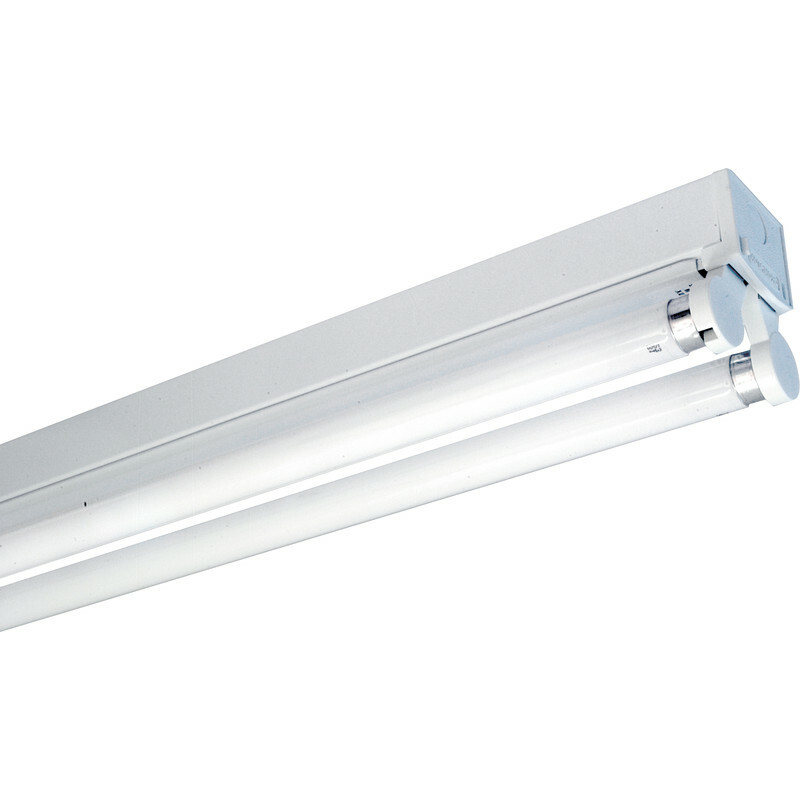 LED batten lighting fixtures can help users save as much as 40% on energy bills in comparison to T5 fluorescent tubes. These lighting fixtures are available in both indoor as well as weatherproof versions. They can be used in combination with LED tubes to be used as linear lightings. The latest versions of LED lights have a light weight and therefore they can be set up with the help of just two screws. What Are the Different Types of Led Batten Lights? These lighting fixtures can be either hanged, surface mounted or suspended. Made from high-quality steel, they are highly heat resistant. These light fittings come with a wheel plastic clip fix metal cover to the housing. They have a slim body, are energy efficient and have a long lifespan. This type of lightings can help in ensuring 20% energy savings as compared to normal T8 electronic battens. They can adapt to different types of environments using a wide range of optional attachments such as wire guards, prismatic diffusers, and industrial reflectors. These lights are compliant with the latest standards in office lighting. This type of light fittings is best suited for usage for illuminating indoors of commercial areas. Fluorescent Batten Fittings - The batten light fixtures come with a high level of luminous efficiency. They are best suited to replace fluorescent tubes. One unique feature of fluorescent batten fittings is that they are lead-free and cause no RF interference. These lighting fixtures are eco-friendly and come with an integrated thermal management system. They have a lifespan of 50,000 hours for day to day use in offices. Their parts can be easily replaced. Moreover, they can be replaced directly without any necessity for rewiring. These lighting fixtures are best suited for usage in small offices, reception areas, shops, restaurants, passages, hospital lobbies etc. These industrial LED lightings come with a compact, contemporary design. It is best suited for usage in commercial and industrial applications. They are easy to fit and are equipped with a 2-part assembly which makes retrofit installations to be made within a short span of time. It offers a wide beam for distribution of light. These lighting fixtures have a white painted steel painted body and have a high lumen output. They are surface mounted and have an average lifespan of 30000 hours. They are not affected by fluctuations of voltage and are protected from insect and dust. These lights offer effective heat dissipation and are equipped with an extruded aluminium sink. These batten lights have a sturdy, steel body and come with a white gloss powder coated finish. They are equipped with polycarbonate end caps. The polycarbonate shatter-proof exteriors of the lighting fixtures have a smooth exterior and ribbed interior. Therefore, they have an eye-catching finish and provide a better quality of glare control as compared to other models. Emergency Batten Lights -This type of batten lights are weatherproof and emit cool white light. These lighting fixtures have a power backup of 3 hours and have a life expectancy up to 50,000 hours. They come with an IP65 rating and are available with a plug & play mains connection, stainless steel end caps, and a tool free removable gear tray. Emergency batten lights have a durability of 50,000 hours and therefore can be used over a long span of time. They produce natural light and are non-dimmable. The emergency batten lights come with an acrylic construction. Some new models of emergency batten lights that are available in the market operate using long life lithium ion battery. They have brightness up to 160 lumens. The brightness of these lighting fixtures can be adjusted from time to time. 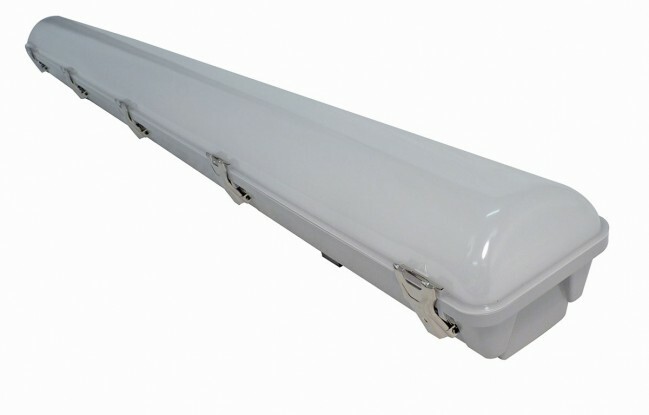 Slim construction of emergency batten lights can be easily mounted at home. The presence of the tug switch makes them easy to use. Emergency batten lights of this type have a wide beam and plated reflector. The lamination LED lighting fixtures available as a part of this range are suitable for surface mounting in indoor areas. This type of batten lights is best suited for usage by people who want to adapt to the use of energy efficient lighting fixtures. Made from high-quality polycarbonate construction and dont require any type of maintenance. They are best suited for usage as an alternative to T8 fluorescent battens. Weatherproof LED battens ensure substantial energy savings in comparison to normal fluorescent battens. These lighting fixtures come with a frosted diffuser and offer glare-free illumination. They have an IP65 rating and have a normal lifespan of 30,000 hours. These batten lights offer a high level of performance in cold, damp conditions. Weatherproof LED battens are therefore suitable for usage in parking areas, sunshades, and ATMs. These lighting fixtures experience no decrease in light output in a cold environment, a common problem with fluorescent. They can be installed within a short span of time using mounting clips. The integrated power supply does away with the need for separate drivers. Waterproof LED battens are damp rated and wet rated. How To Select Led Batten Lights? While selecting batten lights, you are likely to check the wattage, which indicates its brightness. But the brightness of LEDs is calculated in a different manner. Unlike incandescent lightings, watts do not determine the brightness of batten lights. Instead, lumen (lm) is used to measure an LED battens brightness. This is the major area which you will need to focus upon, once you start looking for LED batten lights. If you do not prefer a white light with a glare which is offered by LEDs of older models, then you should go for newer options. Batten lights have a wide range of colours, range from warm yellow white which is similar to colour emitted by incandescent lightings to a white colour of a brighter shade or bluish white. Check the package of the batten light for the colour of light which is indicated by its temperature on Kelvin scale. The ones which have a lower Kelvin produce warm-coloured light. The higher the Kelvin of batten lighting, the bluer will be the colour of the light it produces. Yellow batten lights have a Kelvin scale of 2700-3000K while the white and blue ones have a Kelvin scale between 3500-4100K and 5000-6500K respectively. Each batten light comes with a CRI score. Colour Rendering Index refers to the measurement of a lighting fixtures ability to characterize various colours. Therefore, while selecting a batten light, go for the one with CRI which denotes the natural colour. Beam angle refers to the degree of width which light produces from a source of light. In other words, it is the angle between opposing points on beam axis where intensity can go down to 50% to the maximum. LED batten lights come with a wide variety of beam angles. A wide bead angle floods an area with light is known as a flood light. On the other hand, a narrow beam angle is called a spot of light, known as a spotlight. Major factors which you will need to focus on while considering a beam angle for a ceiling light is the light fittings distribution, ceiling light and desired intensity in certain areas. The performance offered by a LED batten light depends on the LED chip. Therefore, you will need to focus on the type of LED chip that your lighting fixture possesses. Chips of good quality have a higher durability and tend to depreciate less over time in case of light output as well as light quality. However, you will need to spend a higher amount to acquire a LED chip of high quality. Therefore, check the LED chips well before burning. Lifespan is another important factor to which you will have to pay attention to. The durability of these lighting fixtures is usually between 30,000-50,000 and therefore can last up to 10-12 years, which is far more than fluorescent lightings. The lifespan of these bulbs is also dependent on the heat sink which is used for drawing heat way from both the LED driver and chip. Dimmability and the presence of a good heat sink are two major factors that play an important role in extending the lifespan of these sinks. The ambiance of a room is greatly dependent on the amount of light present within it. You can control it using dimmable batten lights. Illumination can be controlled using dimmable LED batten lights. The amount of light can be turned up or down using a dimmer switch. However, the power of the batten light is minimised. Therefore, you will have to consider while choosing a LED batten light. T8 tubelights have a lifespan of 10-15 years and incur a cost of Rs 1600-2000. T5 LED tube lights on the other hand incur a cost of Rs 500 but have a lifespan of 3-4 years only. There is a visible difference between LED batten lights of high and low quality is that the inferior ones have a lower quality of power supply, lumen output, and a limited lifespan. This is the major reason why there is a significant difference in price of LED batten lightings of different models. How To Install Led Batten Lights? You will need to assemble the lighting fixture by pressing the two mounting clips into the LED batten. You are likely to hear a snapping noise. Then mount this lighting fixture to the area where you want to install it, using two self-tapping flathead screws into each mounting bracket. Then, connect the leader cable to the first LED fixtures male plague. You are likely to hear two clicking noises. Once you have done that, take out the endcap from each side. Then keep placing the fixtures, but ensure that both male and female plugs are joined. Also, attach jumper cables as required to work around all types of corners, separations, and complications. Once you have done that, connect the black and white wires of AC line to leader cables wires of the same colour with the help of wire nuts. Top Brands of Led Batten Lights Available in the Market? The Syska LED batten lights are eco-friendly and can easily replace T5 and T8 bulbs. They provide a good colour rendering. They cause no UV radiation. These Philips LED batten lights offer extra bright light output and cause no heat radiation. They are mercury free and offer 80% energy savings. The batten lights are best suited for usage in reading spaces, over photo frames and mirror light-multi utility productivity. The slim, linear Havells LED betten lights are made from high quality extruded polycarbonate and ensure optimum energy savings. The housing and cover of these lighting fixtures are made from CRCA sheet steel. The cover is fixed to the housing through 2 nos. bolt using an engineering plastic head. They undergo phosphochromate treatment and are coated with white epoxy powder coating. The lamp holders are equipped with push fit rotary type white polycarbonate. Apart from the brands mentioned above, we also deal in LED batten lights from brands such as Forus, GreatWhite, Crompton, Bajaj, Albright LED, Panasonic, Osram, Wipro, Wipro Garnet, Noble Electricals etc. The Crompton batten lights that form a part of our collection are light weight and are a suitable replacement for fluorescent lamp fittings. Created from extruded engineering plastics, they offer uniform, glare free light. They can either be mounted on surface, wall or ceiling. Our Bajaj on the other hand come with a voltage surge protection up to 2.5 kV. They have a powder coated aluminium body which ensures long term durability. These batten lights come with elegant end caps. At Moglix, we have carefully devised the batten light category keeping in mind the major challenges which are involved with the usage of LED batten lights. Why buy LED batten lights from Moglix? 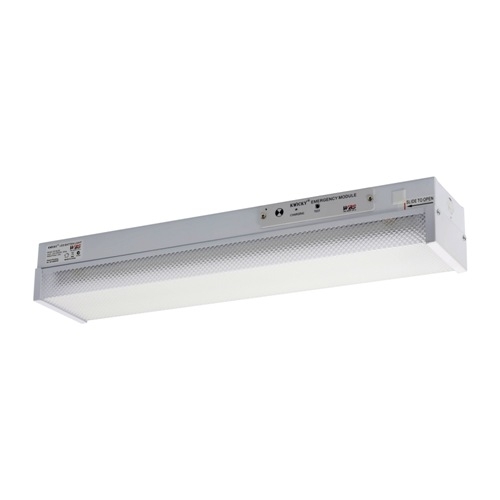 The LED batten lighting fixtures that we have on offer are suitable for usage in garages, homes, and retail outlets. They offer a satisfactory level of illumination across dark areas within a room. The batten lights available at Moglix do not cause UV or IR radiation. They have a high durability and can help buyers save up to 40% on energy bills in contrast to T5 fluorescent tubes. Therefore, they can be used in homes, cafes, malls, and restaurants. They work well with all kinds of LED tubes and LED bulbs used for commercial & domestic purpose. At Moglix, we offer weatherproof as well as indoor versions of LED batten lights. These lighting fixtures are lightweight and have a slim design which makes them look of appealing to the eye. The integrated LED fixtures available as a part of this range are ideal for replacing traditional fluorescent lightings. Most of them are equipped with integrated T8 or T5 tubes. 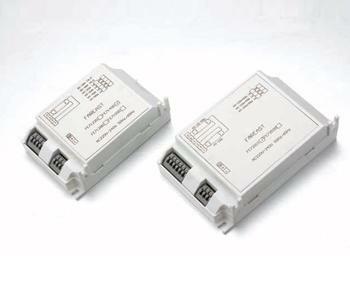 They are easy to installation also and can be connected to the powder supply. 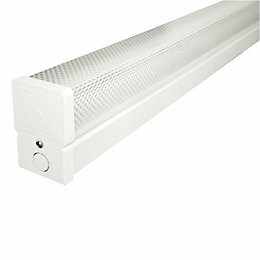 These LED batten lights are suitable for installing in corridors. They have been procured from leading brands such as Bajaj, Eveready, Syska, Havells etc. Enhance the look of your rooms using the new models of LED batten lights.